How do rural women use, access and experience energy for cooking and lighting, including for other domestic and non-domestic purposes? To what extent does subsidy changes, or the higher or lower retail prices of petroleum products, influence household choice of cooking fuels? What potentials exist for rural women to switch from traditional biomass to cleaner cooking fuels should there be policy interventions intended to promote or increase the usage of renewable energy and LPG in their communities? These questions–and more–constitute the central focus of an international research study that is being conducted by SPACES FOR CHANGE, in collaboration with the International Institute for Sustainable Development (IISD) with support from Energia and Hivos. 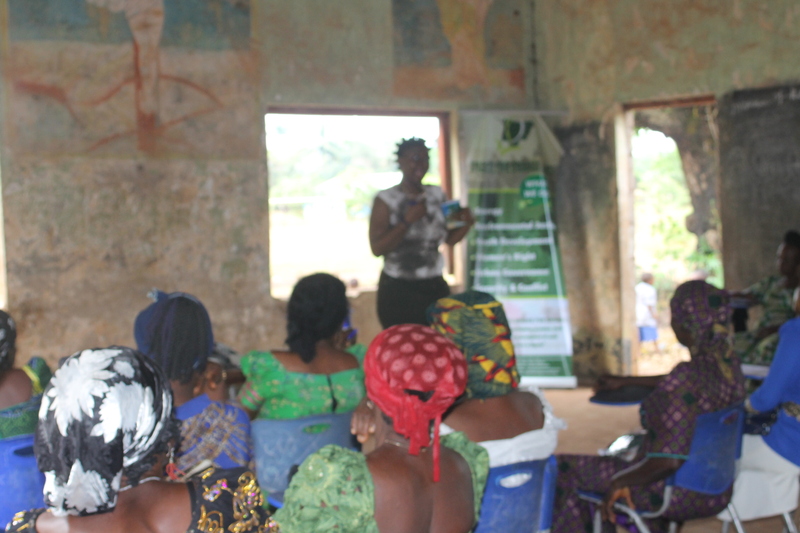 Understanding how contextual realities affect energy access and use in the rural areas informed the convening of a special edition of SPACES FOR CHANGE’s Women-Kitchen-Energy (WKE) Forum in Uzoagba, Ikeduru Local Government Area of Imo State. 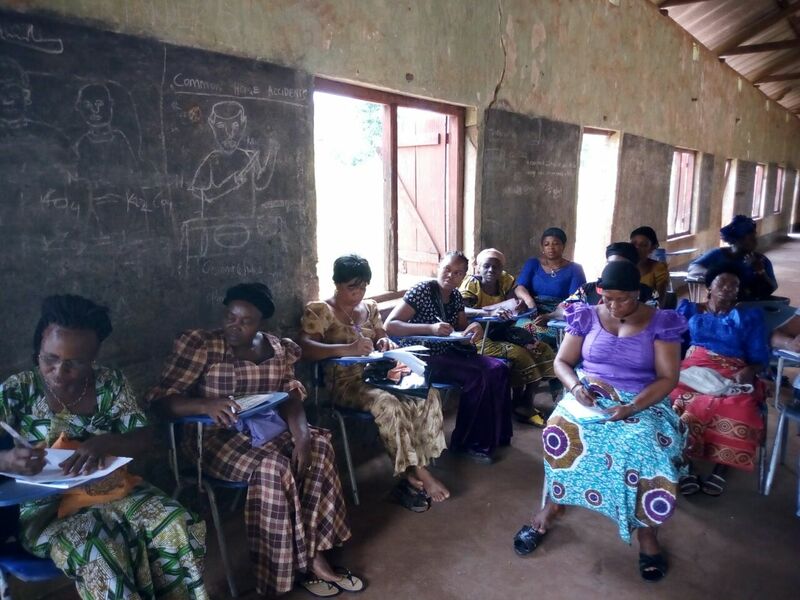 25 women drawn from the 7 (seven) targeted Uzoagba communities ( Umeziogwu, Umuehiehie 1 & 2, Umualumaku, Umukpeh, Umueze and Umuomii) participated in the cross-learning and interactive sessions. 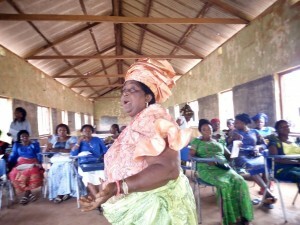 Uzoagba is one of the 12 villages in Ikeduru LGA is with a total population of 147,739 at the 2006 census. The population was projected to have risen to 175,720 by 2011. 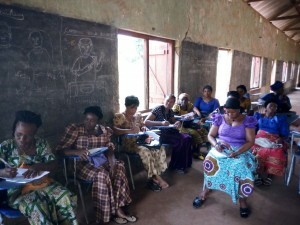 As a prelude to the main field surveys scheduled for January 2017, aimed at investigating the impacts of energy subsidy reform on gender, the November 25, 2016 WKE Forum enabled SPACES FOR CHANGE to familiarize with the local women, understand the kerosene pricing, energy consumption trends, gender stereotypes and other contextual characteristics that prevail in the targeted communities. This sort of advance knowledge about the community will inform the development of the data gathering instruments as well as enrich the post-data analysis during and after the survey period. Consistent with most traditional societies, we found that Uzoagba women are primarily responsible for cooking, and therefore spend long hours (2,3,4,hours) fetching firewood in the farm or forests. The men (husbands) also fetch firewood, but do so only seasonally, such as during the farming season. It was quite instructive to note that there is no discrimination in fuelwood collection in the home. In this case, male children fetch firewood on an equal basis with the girls/daughters. The majority of women purchase cooking fuels from retailers and unofficial vendors at prices higher than the official rate. The women are well aware that the fuel costs are much lower at the official pump stations, but distance is often a limiting factor. Apart from distance, the retailers can dispense any quantity of fuel desired by the purchaser, no matter how small. Filling stations, in accordance with the products pricing template, impose measurement restrictions on cooking fuels like kerosene, and as such, only sell in measured litres. The option of buying much smaller quantities is not available at the pump stations, forcing locals to heavily rely on local and street vendors. As with most places in the country, rural women also experience frequent product shortages and dramatic increases in the price of cooking fuels from time to time. The frequent price shifts are often triggered by changes in the energy subsidy policy, or exploitation by oil marketers. Although some of the women have participated in the fuel subsidy protests before, none of them was aware of what ‘fuel subsidy’ meant and how changes to kerosene subsidy policies affect or influence higher or lower retail prices of cooking fuels. 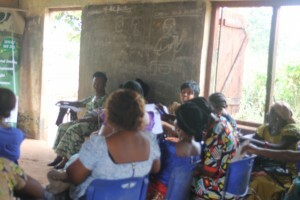 Rural women resort to a variety of coping mechanisms in the event of fuel shortages and significant price changes. For instance, many turn to candles, torchlights, rechargeable lanterns, native oil lamps (mpanaka), lanterns, and so forth to meet their lighting needs in times of shortages or price changes. Some others say they increase their dependence on firewood, or turn to palm fibre, nylon bags, broken plastics, etc, as a lighting substitute for kerosene. The palm fibre, sourced from palm-fruits, and dried after extracting the palm oil, appears to be the most popular substitute for kerosene. Nearly all the women attested to its lighting efficacy. Interestingly, the majority of the women had some knowledge about the health implications of fuelwood, and the adverse consequences of indoor pollution. Spaces for Change’s Victoria Ohaeri shared detailed statistics regarding the dangerous effects of cooking and heating homes with open fires. New data from the World Health Organization reveal a stronger link between both indoor and outdoor air pollution exposure and cardiovascular diseases, such as strokes and ischaemic heart disease, as well as between air pollution and cancer. This is in addition to air pollution’s role in the development of respiratory diseases, including acute respiratory infections and chronic obstructive pulmonary diseases. 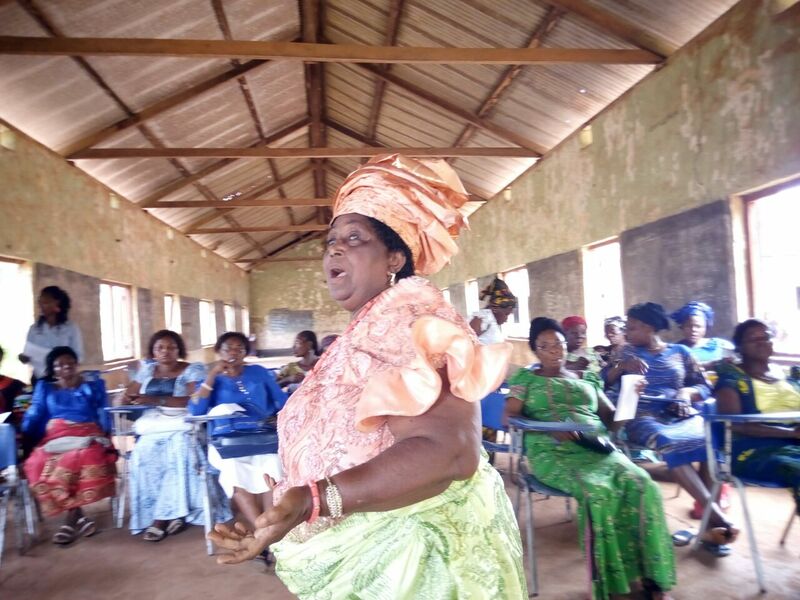 Building on their awareness of the downsides of dirty fuels, the women unanimously expressed their willingness to switch to cleaner cooking fuels like Liquified Petroleum Gas (LPG). Only 2 of the 25 women disclosed that they use LPG occasionally in their homes. Advantages of using LPG listed by the women include faster cooking, cleaner kitchen, and healthier cooking spaces. Nevertheless, a good number insisted that firewood burns faster than LPG; has minimal cost implications; is more accessible, and safer to use than LPG. ‘The risk of explosion and house fires does not arise’, one of the women said. Rural women do not use a particular cooking fuel for their cooking needs. They use a combination of cooking fuels. The choice used for cooking depends on the season, the meal being prepared and the available family budget. Most of them are not using their preferred cooking fuel, and are willing to switch to another type of fuel if they have the resources. This aligns with studies that show that income is a major determinant of the choice of household cooking fuels. Apart from firewood, other popular cooking fuels in use within the community include coal pots, sawdust, palm fibre and kerosene stoves. None of the women have seen or heard about the green cookstoves. Another interesting observation is that rural women can independently purchase property, especially their cooking appliances, and make expenditures related to cooking without let or hindrance. In some case, the men/husbands may get involved in decision-making, but that does not in any way erode the woman’s decision-making power in matters affecting the kitchen. 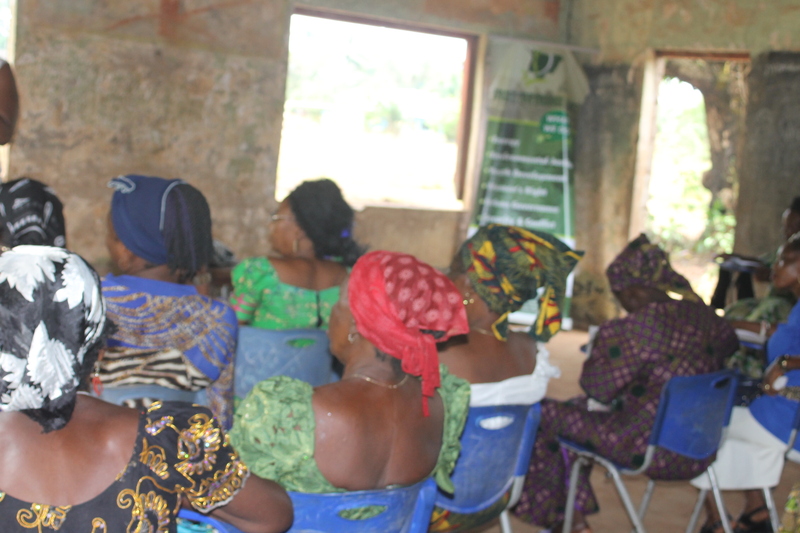 Though framed as a community sensitization program for rural women, this Forum has helped to increase target group’s understanding of how they are directly and indirectly impacted by energy subsidy reforms. Not only that, we have now successfully secured their cooperation during the main survey that begins early next year.